Patés from BACÓWKA owe their unique taste to carefully selected ingredients and traditional recipes. Served in a sandwich or as a solo snack have an established position on a domestic menu. Easy to spread on bread and go well with any extras. 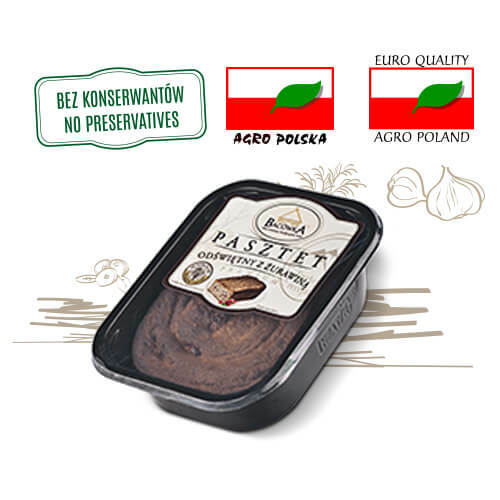 Traditional Polish paté. The distinct flavour of plum contributes to the velvety deep taste of this paté; it will delight your family and enrich your domestic menu. An aromatic paté prepared according to a well-tested recipe. The combination of expressive meat and sweet cranberries results in an excellent taste appreciated even by the most demanding food lovers. Once you try it, you will want more. Festive paté flavours evoke childhood memories. This classic pork paté will bring back the most beautiful times, and its delicious flavour will stay long in memory. Turkey meat, which is highly rated for its health benefits and easy digestibility, is ideal for daily diet. It is easy to spread on bread and its excellent taste will never bore you. It goes well with red beet and horseradish sauce. Bon Appetit! 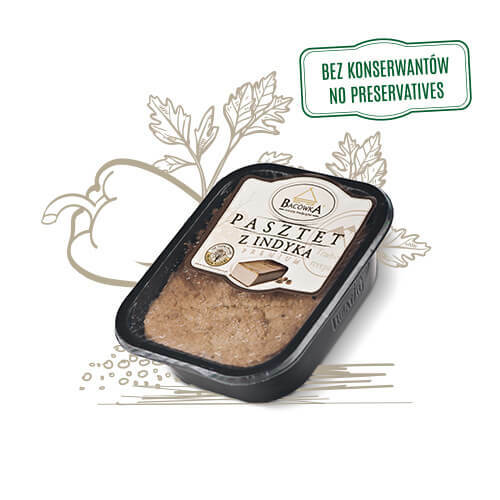 Precious meats and carefully selected dried herbs and mushrooms work together to make this game paté really unique. Its distinct taste and delicate texture will delight everybody. 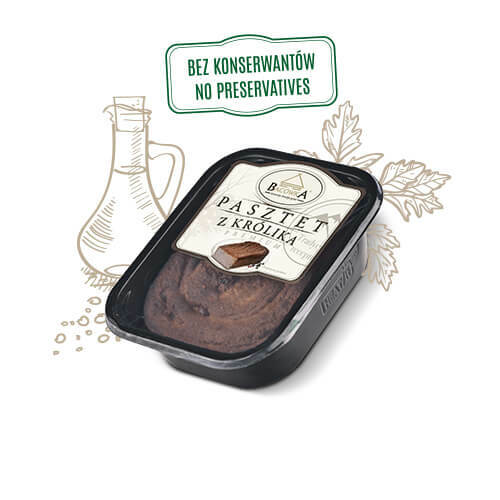 Due to its exquisite character it has an established position on a Polish Easter table. It contains no preservatives. This delicate veal paté will satisfy both small and big food lovers. Its velvety texture and delicate noble taste make it a perfect snack. Especially recommended as a sandwich topping. 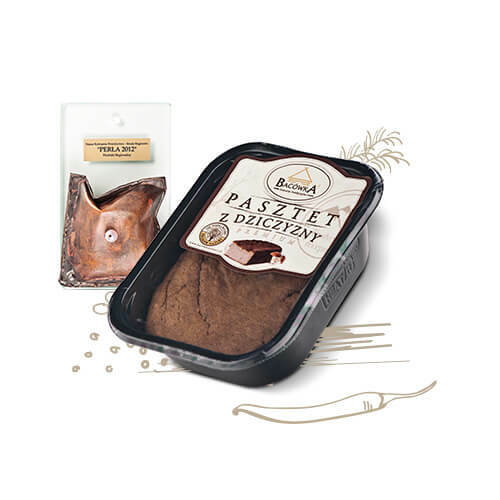 This noble rabbit paté is a sophisticated dish ideal for a special dinner or elegant lunch. It will delight your family and friends. Goes great with red dry wine.